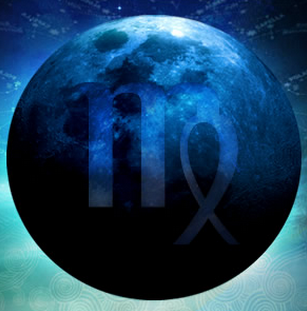 The New Moon in Virgo is on Saturday, Sept 15th at 10:11pm ET. The New Moon is the time for new beginnings, so take an action toward what you want to create or increase in your life. Virgo rules health and wellness, productivity, service, order and discernment. What do you need to get busy doing? This is the time to begin, to get organized, make a list and do something to put it into action. Do you need to clear anything from your life – clutter, behaviors and habits that aren’t working for you or people that don’t support you? Are you treating your physical and emotional self well? What actions can you take to nurture your health and wellness? What have you been putting off that it’s time to begin? Pluto (transformation/power) stations Direct on Tues, Sept 18th. Watch for power struggles, power plays, covert actions that catch you off-guard and hidden agendas. This is not to make you paranoid, it’s to encourage awareness and non-reaction. Pluto squares Uranus (rebellion/unexpected) on Wed, Sept 19th for the 2nd time since late June. If something unexpected arises, stay cool. Reserve immediate reaction – take notice and step back and allow the dust to settle before you make any major decisions. You want to make decisions from your center, not in reaction or feeling out of control. Also, practice impeccable self-care during stressful times. Space allows for decompression. This is dynamic energy that can be used for creating change rather than being at the effect of others or external events. As you prepare for the New Moon in Virgo, think about how you can be of service – what you have to offer the world that can benefit others AND you. Check in with your Self – where in your life are you not living authentically and how can you rectify that? Is there any aspect of your life in which you’re going through the motions as you were taught, but it doesn’t really resonate with you? This can be a course correction just begging to happen! Be bold, be brave, don’t fight (especially yourself!). Set your intention. Get support and guidance. Take actions toward your intention. Mean it. Don’t give up! I am so with you on this journey! All the Lightworkers need to step up now, as we are the front lines leading the cause on behalf of Love.